April 18, 2019 - Join us on Friday, May 17 from 8:30 - 11:00 for a closer look at the MetroWest data from the Massachusetts Healthy Aging Data Report. April 1, 2019 - At its 20th Anniversary dinner, the MetroWest Health Foundation presented its 2019 Deborah Blumer Community Health Leadership Award to the School Health Services Division of the Framingham Public Schools. February Marks Our 20th Anniversary! February 2019 - To celebrate our anniversary, we will be hosting a special 20th Anniversary Symposium on March 29. February 2019 - We want you to be part of the planning. Who's Your Health Equity Hero? February 2019 - Nominate a person or organization that you think deserves this recognition now. February 2019 - If you want to create real community change, you need to effectively engage the community in your efforts. That was the theme for a day long training session sponsored by the foundation. January 2019 - Join us and the MetroWest Racial & Ethnic Disparities Workgroup as we explore the implications of inequities on health and healthcare in our region and look at best practices from across the state for the promotion of health equity through program and community interventions. January 2019 - The MetroWest Health Foundation is celebrating its 20th anniversary in 2019. As one way to commemorate the work that has been done over the past 20 years, the foundation, in partnership with the MetroWest Racial and Ethnic Disparities Workgroup, is offering the first Annual Health Equity Award. January 19 - Save the Date! January 2019 - The MetroWest Health Foundation; the Foundation for MetroWest; Middlesex Savings Charitable Foundation; and the Sudbury Foundation have all joined forces to provide a three-year continuation grant of $362,500 to Lovin' Spoonfuls to continue their work to provide fresh fruits and vegetables to MetroWest area food pantries and shelters. 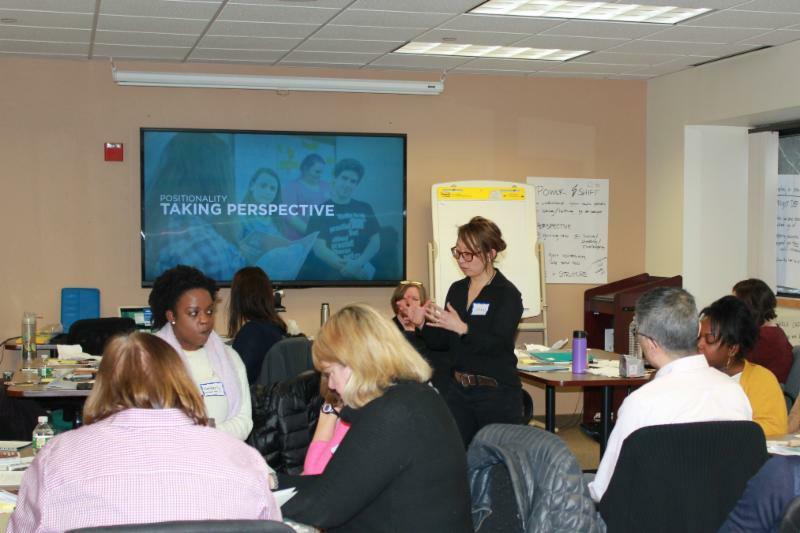 January 2019 - Join us on February 5th from 9-11am at the MetroWest Health Foundation to learn more about the MA Census Equity Fund and the work they are doing to help nonprofit and municipal agencies prepare for the 2020 US Census. January 2019 - With the election of new trustees and officers, we unfortunately must say goodbye to Meyer Levy, our board chair. December 19, 2018 - Grant award letters recently went out to 14 community agencies that will share over $730,000 in support from the foundation's fall grant cycle. December 19, 2018 - On November 16th, Seleeke Flingai and Barry Keppard of the Metropolitan Area Planning Council (MAPC) presented data on the changing demographics of the MetroWest region. December 19, 2018 - 2020 is still a couple of years away, but it's not too early to begin talking about the significance the census has for local communities and the funding of critical health and social services. We're Looking for a Few Good Leaders! December 19, 2018 - Do you know an individual who goes above and beyond to improve the health of MetroWest? December 19, 2018 - How many grants did we make? Which communities were served? How much is an average grant? October 2018 - Join us on November 16 for a half-day seminar to explore the changing demographics of the region. October 2018 - Applications for scholarships for the spring academic term are now available. The deadline for applying is 4:00 pm on Friday, November 30th. October 2018 - Learn more about this knowledge and skill-building program designed to change the way local health executives, managers and officials think and act as leaders.